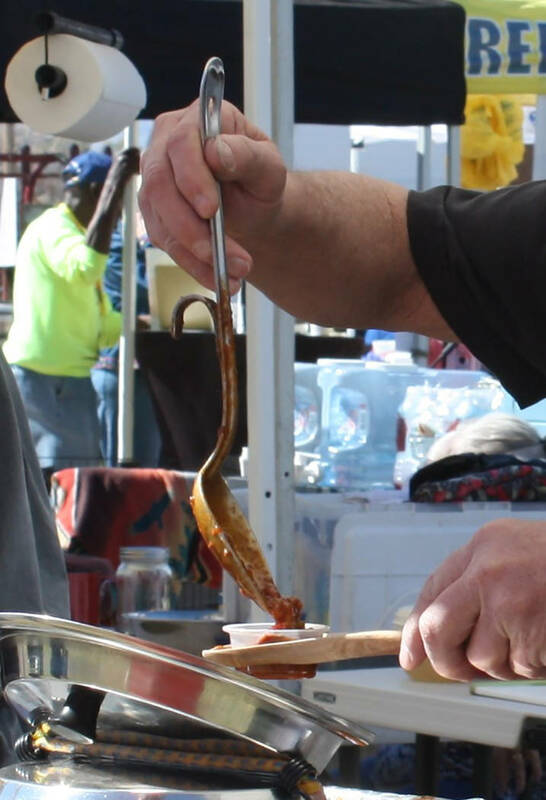 Chili cooks from across the region were laboring away and taste buds were singing as the 2019 Silver State Chili Cook-off took over Petrack Park this past weekend. 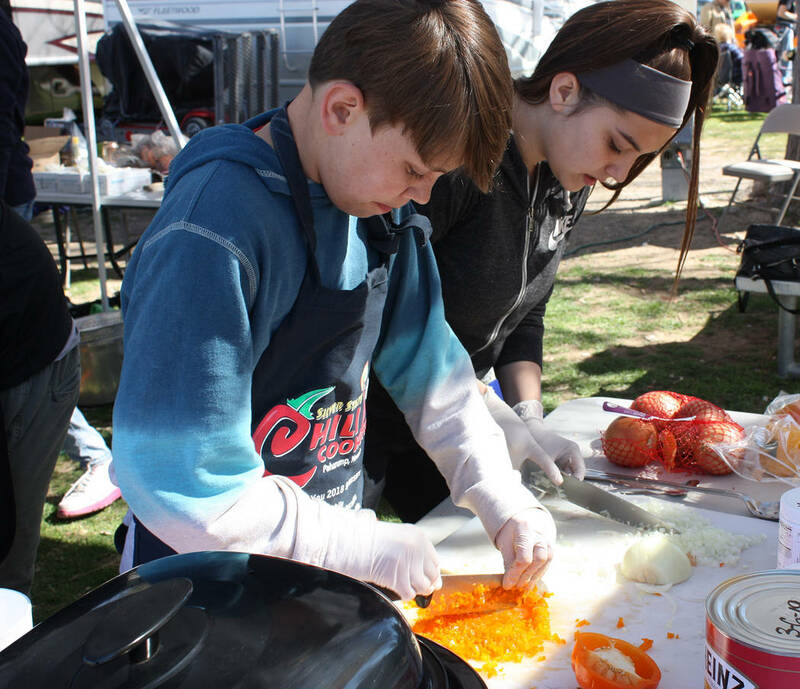 Robin Hebrock/Pahrump Valley Times The Silver State Chili Cook-off included a youth division this year, allowing youngsters to get in on the culinary action. 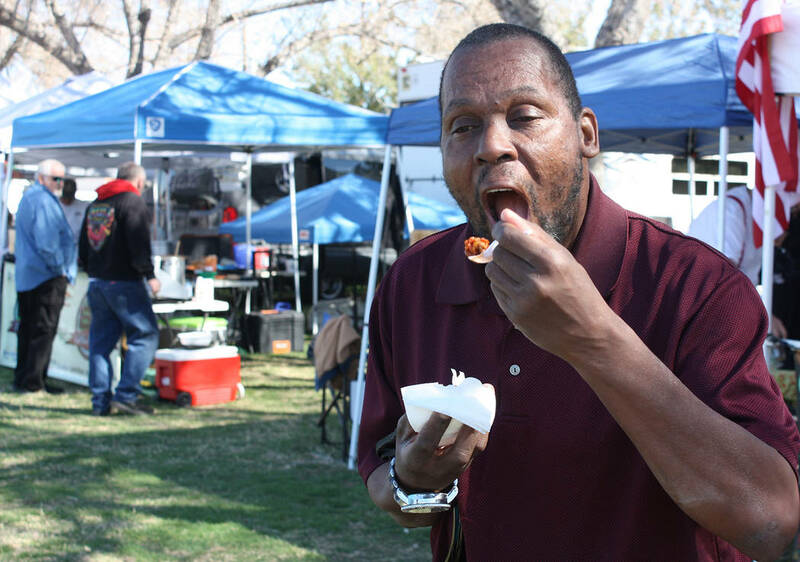 Robin Hebrock/Pahrump Valley Times With obvious enjoyment, a Silver State Chili Cook-off attendee digs into a tasting from the On the Road Chili, just one of the many chili teams competing in this year's event. Robin Hebrock/Pahrump Valley Times Lynn Robinson of Lucky Lady hands over a sampling of her chili concoction to an eager taster. Robin Hebrock/Pahrump Valley Times Darbie O'Donnell, Deanna O'Donnell and Josh Westerman proudly pose for a photo on Saturday, March 16. Their team, Ours is Better Than Theirs Chili Company, took first place in the People's Choice category. 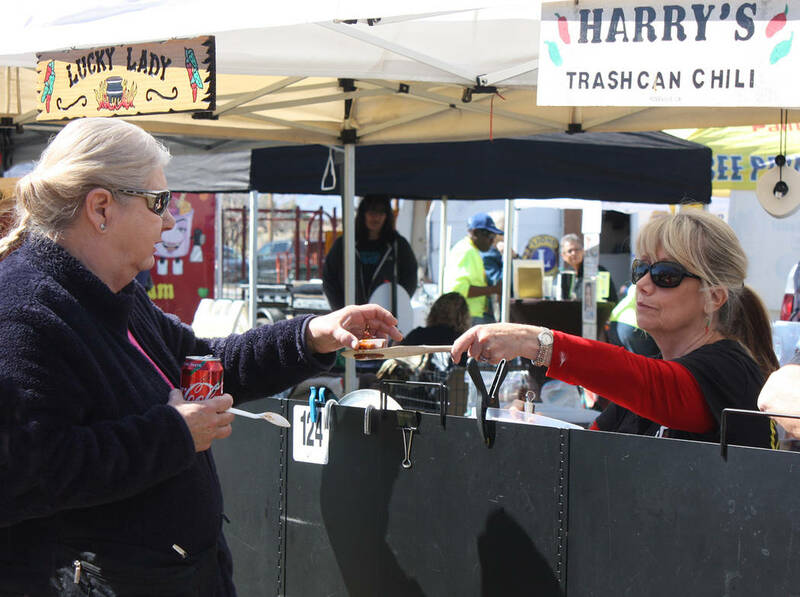 Robin Hebrock/Pahrump Valley Times Contenders in the Silver State Chili Cook-off were busy much of Saturday and Sunday, March 16 and 17 serving up the thousands of tastings that were consumed throughout the event. 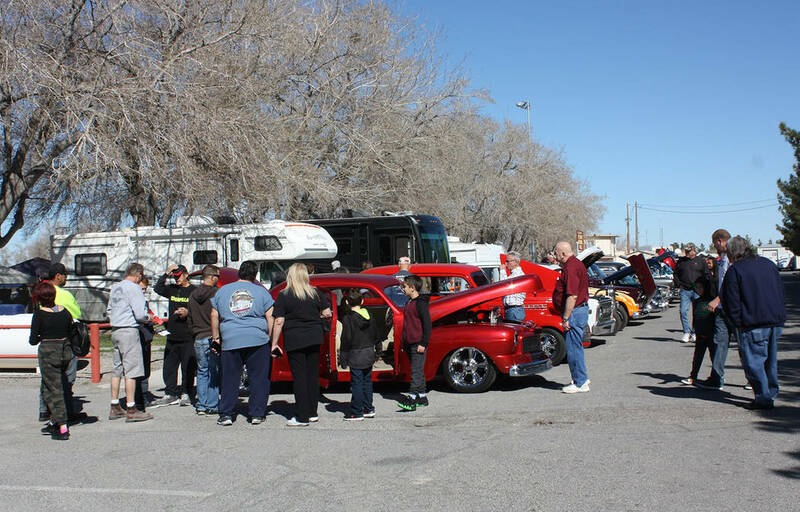 Robin Hebrock/Pahrump Valley Times The Silver State Chili Cook-off featured a car show with dozens of autos of all shapes and sizes, drawing large crowds of observers. 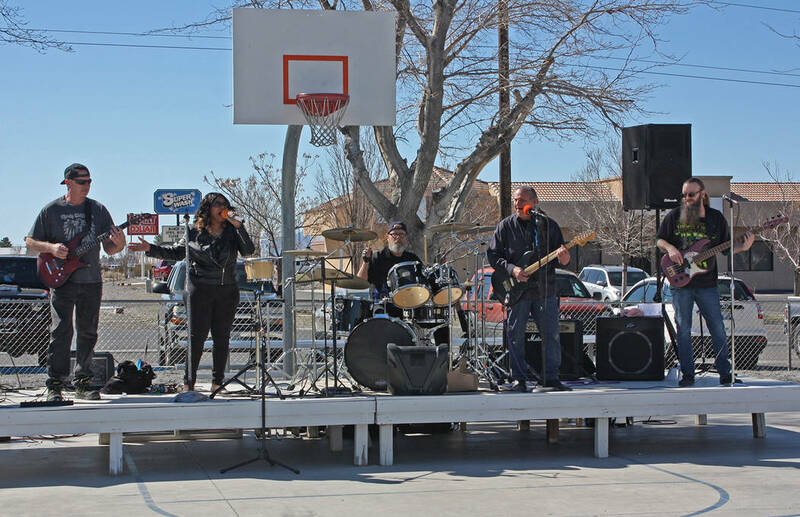 Robin Hebrock/Pahrump Valley Times The local band Incognito spent their weekend serenading the audience at the Silver State Chili Cook-off. Hosted on Saturday and Sunday, March 16 and 17, the cook-off attracted thousands of attendees all drawn by the prospect of a good time and good eats, resulting in the most successful outcome in the event’s seven-year history. 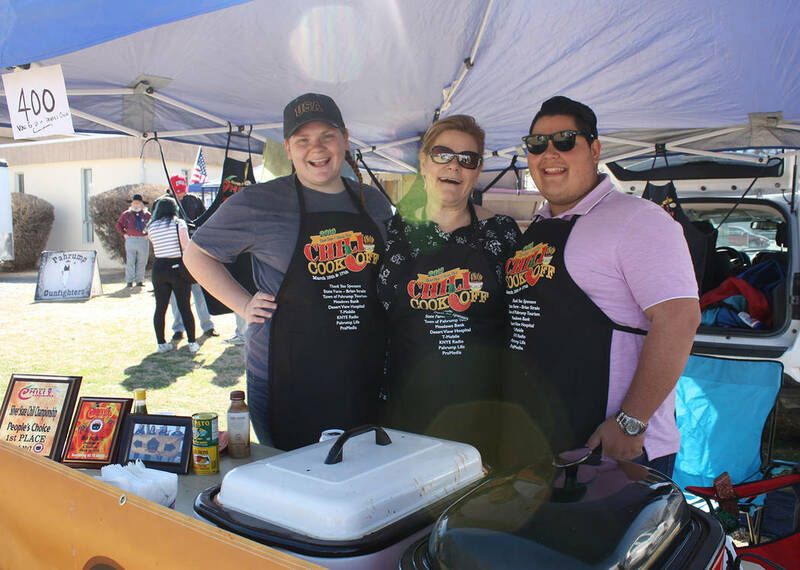 The chili cook-off was much more than just a weekend of competition between cooks, it also served as a fundraiser for one of Pahrump’s nonprofits, the Nevada Outreach Training Organization and its No to Abuse program. Frazier reported that the cook-off collectively raised around $19,000, money which will go a long way toward providing assistance to those in need. All in all, there were over 40 competitors vying for top prizes in the varying categories each day and collectively, they served more than 200 gallons of chili, doled out in about 9,000 to 10,000 individual tastings. Taking home first prize for red chili on Saturday, March 16 was Chuck Harbor, while Jim Watson claimed the homestyle title, Bob Tyree took home first for chili verde and Harry Robinson secured the win for his vegetarian offering. Saturday’s competition also included a youth division in which the winner was Ily Hoskin. Sunday’s competition in the red chili category was won by Bob Scott. Taking first prize for homestyle that Sunday was Eddie Huffman. Mark Haught claimed top honors in the chili verde category and Lynn Robinson took first for vegetarian. The People’s Choice award was only handed out on Saturday and that title went to a local group consisting of well-known news reporter Deanna O’Donnell, her daughter Darbie and Josh Westerman. The trio has dubbed themselves the “Ours is Better Than Theirs Chili Co.” and they have won prizes each time they have competed. They were clearly ecstatic over their win this year. “The family behind the Ours is Better Than Theirs Chili Company wants to thank the community for supporting this fun yearly event and of course, for taking the time out of their day to vote for us! We are three years of win strong because of everyone. Thank you!” O’Donnell said following the highly successful event. Frazier and Kerr both offered their profound gratitude to the many entities and organizations that came together to make the cook-off an enormous success, thanking event sponsors Brian Strain of State Farm, Meadows Bank, Desert View Hospital, T-Mobile, Pahrump Life Magazine, ProMedia, KNYE Radio and the Town of Pahrump Tourism Department. 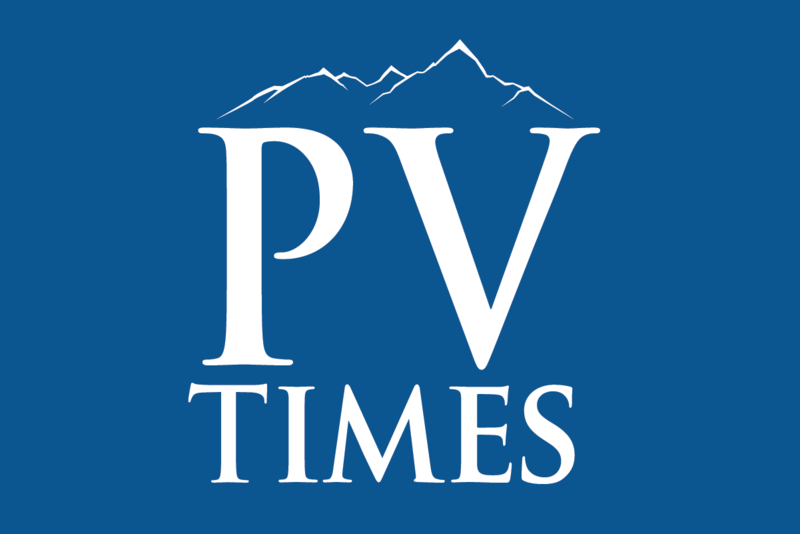 Thanks were also extended to local news outlets the Pahrump Valley Times and KPVM TV for coverage of the event, Pahrump Valley High School English teacher Charles Larssen and his journalism students Darcy and Eugene, Matt Luis from Pahrump Buildings and Grounds and his staff and Fifth Judicial District Court Judge Kimberly Wanker and the members of drug court. Nye County Sheriff Sharon Wehrly and her deputies were recognized for their part in keeping the event orderly and safe while Janice Ager and the vendors received thanks for their contribution as well. Appreciation also went to Doug Daniels and the car show participants, Mark Haught and Tim Frazier for the many tasks they performed, Captain Jim Maehl and his crew of chili judges, Donnie Gordon and her scoring staff, Kerr and the staff at No to Abuse, the Incognito Band and of course, all of the cooks that headed out to lend their culinary talents. Frazier gave a shout-out to Kelli Sater from the HUBB, as well, noting that she will be next year’s event chair. “We encourage local cooks to put the chili cook-off on their calendars and get your kids involved in the youth division,” Kerr concluded, noting that next year’s cook-off is already scheduled for March 14 and 15, 2020.